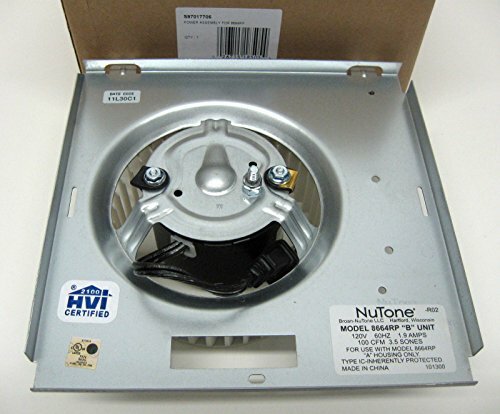 Genuine NuTone S97017706 Motor assembly includes motor and blower wheel. This motor assembly S97017706 works with the following NuTone/Broan ventilation fan models: NuTone 8814R, 8664RP. 100 CFM to quietly ventilate baths up to 95-square feet.100W ceiling light. UL listed for use in tub/shower with GFI branch circuit wiring.